Anguilla is a small Caribbean island that knows how to please its guests. 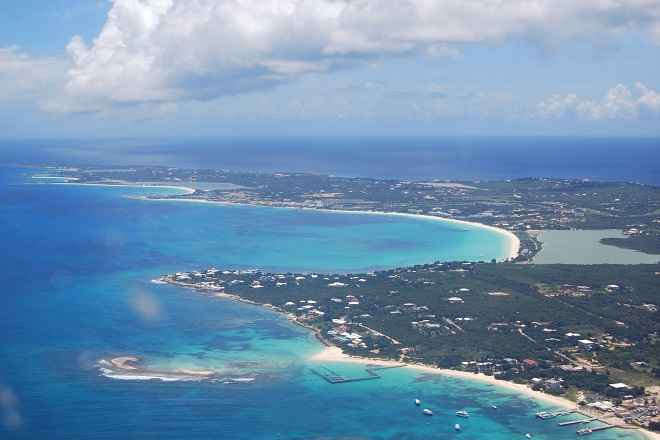 The name Anguilla derives from the word for “eel” in any of various Romance languages. It was probably chosen because of the island’s eel-like shape. It has the grand resorts, beachfront villas, fine dining restaurants and legendary live music, all of which you might expect of a popular Caribbean vacation getaway. Situated within the British West Indies and part of the Leeward Island chain, Anguilla only covers a land area of 35 square miles. Anguilla is also noted for its spectacular and ecologically important coral reefs. 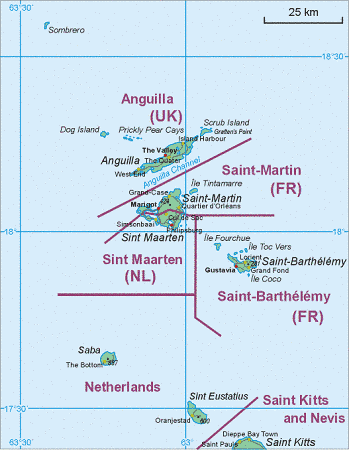 Apart from the main island of Anguilla itself, the territory includes a number of other smaller islands and cays, mostly tiny and uninhabited. Despite its small size, the island is blessed with gorgeous white beaches and clear turquoise waters. In fact, the island has a total of 33 beaches, so you know that you have plenty of choices and space. Anguila beaches are open to the public. They are mostly calm, and feature a temperature perfect for swimming. If you go to the Atlantic portion of the island, you can find some beaches that generate surf during the winter months. There are also beaches that receive enough wind power to make kite and wind surfers happy. Anguila’s year-long warm weather and laidback vibes are a great complement to the island’s great beach culture. Out of the 33 beaches on the Caribbean island of Anguila, some of the ones that have become certified visitor favorites include Rendezvous Bay, Sandy Ground, Upper Shoal Bay and Shoal Bay East. Shoal Bay East is arguably the most famous beach in Anguilla. This one mile long stretch of creamy sand holds the widest selections of beach bars and restaurants on the entire island. Shoal Bay East is also favorite snorkeling, diving and glass-bottom boating destination as it has a set of brightly colored reef located just offshore. 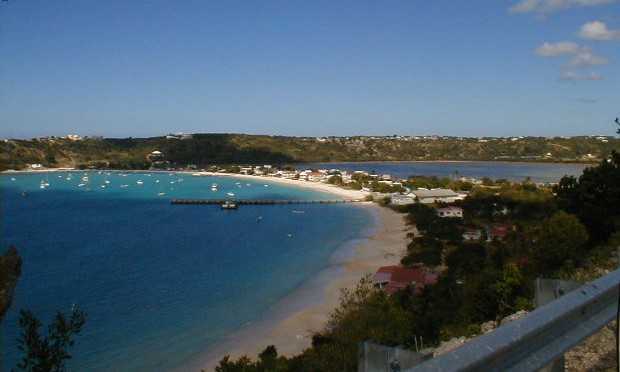 Because of its popularity, Shoal Bay East usually facilitates the most number of people. It is common to see visitors from St. Martin come and stay here for most of the day. Situated just east of Shoal Bay East, Upper Shoal Bay is another one-mile stretch of gorgeous beach. A number of seasoned travelers have claimed that this is where you can find the whitest sand on Anguilla. This is because of the high amount snow-hued calcareous algae flakes and halimeda generated by the nearby the offshore reef. This reef is also the reason why Upper Shoal Bay is also a favorable snorkeling destination. The two-mile southwestern Rendezvous Bay delights visitors with its calm waters and white sandy shore, and is one of the less bustling beaches in Anguilla but has a decent selection of restaurants and resorts. Like other beaches, anyone can enter and enjoy the bay area at any time. Rendezvous is the home of the famous music bar called Dune Preserve. Every afternoon, Wednesday, Friday and Sunday, a crowd goes to the Dune Preserve to listen to some of the best music performances in the Caribbean. Rendezvous is also the venue of the Moonsplash Music Festival every March. Sandy Ground is a fun and lively bay surrounded by a number popular bars and restaurants like the Johnno’s, the Elvis’ Beach Bar, Roy’s and Sand Bar. 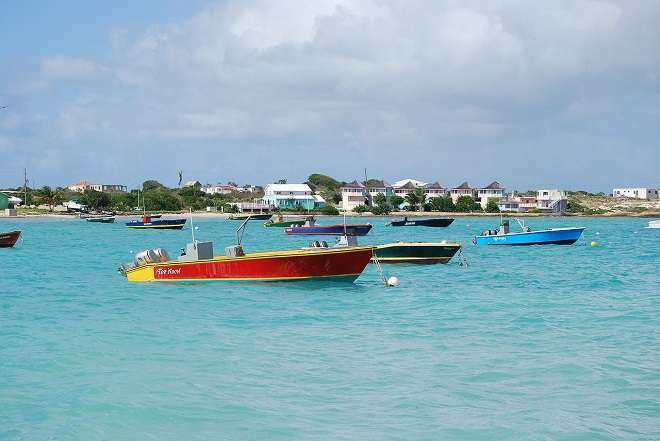 Located on the western side of the island, Sandy Ground houses a beach, a salt pond and Anguilla’s main harbor; so expect to see a number of sailboats and yachts decorating the bay area. Here, you can find a charming village, where you can meet friendly locals and a happy visiting crowd.